Dr Rebecca Willis is a research fellow at Lancaster University. Her work focuses on environment, climate and energy policy. At Lancaster University, in collaboration with Green Alliance, she investigates how politicians understand and respond to climate change. She established Green Alliance’s Climate Leadership Programme in 2009, working with politicians to develop their understanding of climate change. The research looks at how UK Members of Parliament understand what climate change means for their role at the national level and in their constituencies, and how to best support them in taking action. Rebecca is also a Research Fellow at the University of Exeter. In her work on energy policy, she focuses on the role of individuals within energy systems. In 2006, she published "Grid 2.0: The next generation" which charts how energy innovations, including distributed generation and ICT-enabled applications, imply a radically different role for the energy consumer, and require a different business and regulatory strategy. 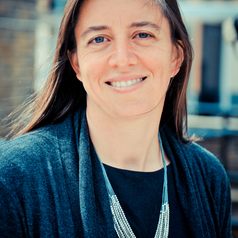 Since then, her research has included a profile of consumer-oriented low-carbon innovations (The Disrupters, published in 2007 by Nesta and Demos); several investigations into community ownership models for energy, including work for the British Academy (2016), Co-operatives UK (2011& 2015), the Esmée Fairbairn Foundation and private energy developer Airvolution (unpublished consultancy); and Demanding Less, a study examining ways to integrate energy demand issues into mainstream energy policy (2011, with Prof Nick Eyre). She also acts as an advisor to the Lake District National Park, where she helped to establish the UK’s first local carbon budget. Rebecca is a Fellow of the Centre for the Understanding of Sustainable Prosperity (CUSP) and a Trustee of the New Economics Foundation. From 2011-15 she was a Council Member of the Natural Environment Research Council, and from 2004-11,Vice-Chair of the UK Sustainable Development Commission, advising the Prime Minister and First Ministers of the devolved administrations. Rebecca is an Associate of the think tank Green Alliance and from 2001-4 served as its director. Previously, she spent two years as a policy adviser at the European Parliament in Brussels, specialising in international environmental issues.